The European Federation of Journalists (EFJ) reminds MEPs that EFJ and IFJ support the Copyright Directive. The EFJ has today reiterated its support for the Copyright Directive and called on Members of the European Parliament to adopt a text that ensures journalists in the European Union will benefit from the revenues generated from the online use of their work. As EFJ and IFJ have repeatedly pointed out the proposal includes important provisions for the publishing industry and authors, including a share of the revenue press publications generate online (Article 11), the principle of proportionate remuneration for authors (Article -14), key transparency obligations and the possibility for authors to be represented by their unions (Articles 14-16). However, the wording of Recital 35 (renumbered Recital 59 in the provisional agreement) runs the risk that some journalists in some countries may be denied a share of the revenue via buy-out contracts and national regulations. 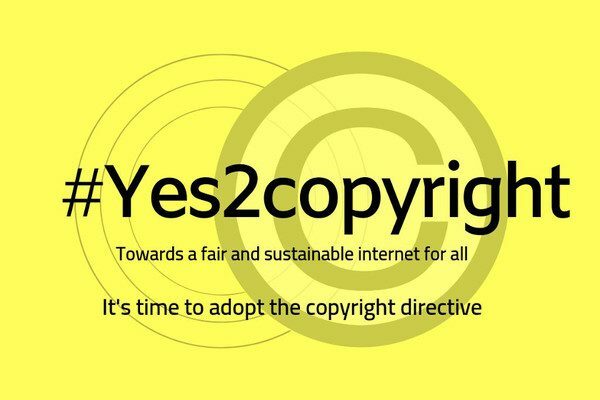 Together with its sister unions Uni-Mei and UNI-Europa, the EFJ calls on MEPs to adopt the Copyright Directive.